I know I am lagging behind things... been busy and did not have time to reply to everyone yet. Some TOREPLY's go back more then a month. Sorry about that! Some of the things on my TODO list (in random order): Bioclipse2 bug fixes, CDK patch reviewing (e.g. vflib), look at the Jmol-CDK bridge and bring it into action in Bioclipse2, RDF for PubChem, convert the Woordenboek Organische Chemie data into in RDF, RDF for NMRShiftDB, align with ChemAxiom, publish about the Bioclipse2 RDF feature, finish the MetWare paper, write a metabolomics feature for Bioclipse2, finish the pKa prediction in the CDK, write 100% coverage CDK 2 CML 2 CDK, implement atom parity stereochemistry from SMILES and/or MDL molfiles, use supervised SOMs in QSAR, user supervised SOMs in proteochemometrics, study variable influence on supervised SOM models, make my thesis Open in the Radboud University library repository (excluding the papers I no longer have copyright on), update the QSAR and algorithm ontologies in OWL, create a web page with life ONS solubility RDF, create an ONS solubility Bioclipse2 feature, study the CDK fingerprint performance compared to the new PubChem fingerprint, make Chemical blogspace aware of the ChemSpider widget, interest people for an unconference in Stockholm or Uppsala, move house, learn to Swedish, get a driver license, implement a memory more-efficient CDK interfaces implementation, promote XMPP services which are better than SOAP, and write more papers, work on CMLSpect for metabolomics, finish the CDK book, finally get a grant application approved, read up with literature and summarize in blog, port the Jmol UFF force field code to the CDK, analyze atom typing in the CDK against PubChem and StarLite, compile strigi-chemistry again KDE 4.2.2, finish egonw.github.com homepage, ... you know the regular list of things to do. If you happen to be a masters student interested in doing a internship/practical here in Uppsala (unpaid, but you will learn so much), just email me. Last of my writing on the CDK Workshop. It was great fun meeting all the CDK developers and users, and thanx to everyone for all that they contributed, in particular during the unconference part! Yesterday, I had a travel day, and slept 12 hours in one go last nite. This leaves me with a long list of follow emails, CDK patches and many other things to catch up with. But it was more than worth it. In the next months, we will say which conversations during the workshop will lead to fruitful collaborations and new CDK contributions. 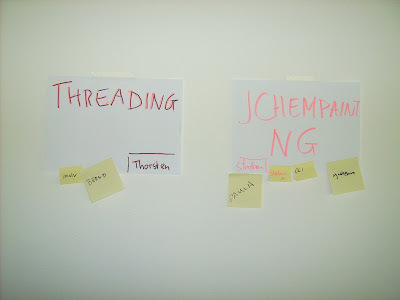 I already have a patch around for @cdk.threadsafe and @cdk.threadnonsafe in reply to the Threading session at the unconference, which I'll ask Rajarshi to review. CDK Workshop 2009 Slides Egon Willighagen My (three) slides for CDK Workshop 2009.
. You can also find coverage on Twitter by Jim and Nico. Coverage on Planet CDK, Twitter #cdkws2009, Friend Feed's CDK room, and on this Wiki page. Chris blogged too. CDK Workshop 2009 Intro Course Material Egon Willighagen Course material for my part of the CDK Workshop 2009. Updated comment to fix bug 2768643. Thanx for all who reported bug reports! Bioclipse is an environment for handling and processing life sciences data. This data is present in files with a wide variety of formats, each of which can contain a particular data type. For example, a we can have a single molecule in MDL molfile and in CML. The latter is particularly interesting, as I do not know how to work that out... Firstly, I want the CML (Single Molecule) content type extend the CML content type, so that a validating CML editor can open it with the proper schema, but at the same time I would like to extend it a content type representation a Single Molecule. Hence, the multiple inheritance. Very clearly, a single base-type. Is there any option of multiple inheritance? 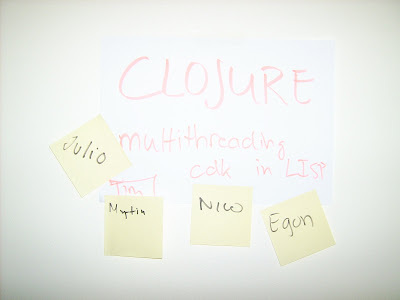 Short blog item about some CDK Git updates. Could not get sleep, so might as well spend that time on CDK hacking, not? Reason why I actually could not catch sleep was the news that PubChem SD files are not regular MDL SD files, but use custom extensions, for example, for dative bonds (see this PDF). This surely explains the weird things I have seen, but, unfortunately, the big SDF button on PubChem does not warn about that. Anyway, thanx for Wolfgang for informing about that customization! So, instead I hacked a bit on the CDK, which was about time. Last two weeks have been really busy with finding a new house (which we did), and writing two big grant applications (about done). Finally time for cleaning up my TOREPLY list on Gmail. I picked the request of Rajarshi to put online some of his patches, which are now available from pele.farmbio.uu.se/git/rajarshi.git, where you will find four of his patches ready for review: fp2d, pcore, pubchemfp and cleanpt. These are really interesting patches! That brings me to the last thing for today: Rednael. Leander (a nickname already reserved, so reverse used) is an IRC bot for the #cdk channel which reports us of commits to our main Git repository. Back in the old SVN days (time goes so fast :), we had the CIA (Langley?) use there equipment to monitor SVN commit, and report those online and on IRC, but Git is too advanced for them, apparently. So, I wrote my own little bot to do it (see earlier link to GitHub). 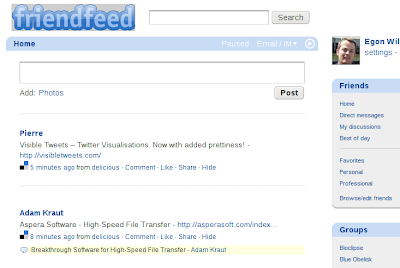 It can monitor multiple channels and report about multiple RSS feeds per channel. Thus, it is actually not restricted to Git commits alone. 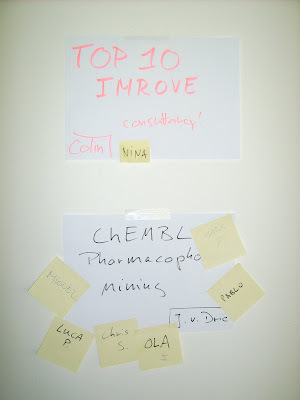 "Open Knowledge: Reproducibility in Cheminformatics with Open Data, Open Source and Open Standards"
Open Source and Open Standards"
The Open paradigms in science have been met with strong criticism. these contribute to Open Knowledge. The exact details I do not know yet, and likely not before the weekend before the meeting :) But this blog gives a good impression of what you can expect. 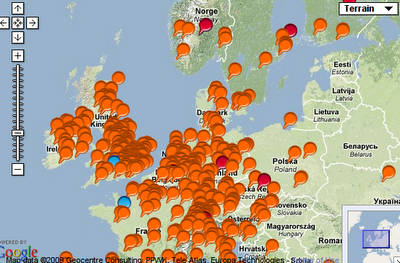 Nothing much I need to say about the NatureJobs Interactive World Map, I think. Thanx to Partial Immortalization for the link on FriendFeed! Clearly, any such documentation becomes quickly outdated, in particular when source code fragments are involved. Yes, CDK 1.2 is API stable, but only for the core classes. 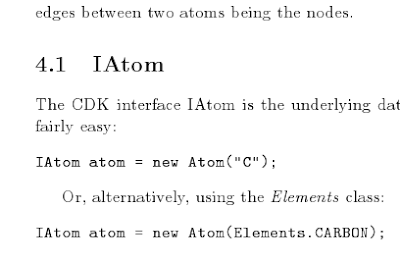 Moreover, I hope that the documentation will survive CDK 1.4 or 2.0 or whatever the next stable version is. Therefore, I need to source code fragments compilable. R has the magnificent Sweave, and I wanted for a long time something similar. While I do not have something that powerful yet, at least my current set up allows me have code that both compiles and embeds in the LaTeX. The system allows me to write both Java application code as BeanShell scripts. No clue yet what I will use in the workshop, maybe even both. Like Sweave, it even saves output, and I can include that in the LaTeX source too. The code fragments can either go in as a verbatim section, or as a listing, depending on what I find more appropriate.